Orthotic and prosthetic intervention for partial foot amputation is intended to restore the effective foot length and normalize gait and function. Research is only beginning to examine whether current interventions are up to the challenge. Partial foot amputation (PFA) is a common sequela to diabetes and vascular disease affecting more than 618,000 Americans. PFA is associated with a significant failure rate and numerous complications, including ulceration and secondary amputation. Despite the prevalence of PFA and the numerous complications, formal study of the effect of prosthetic and orthotic intervention is a relatively recent phenomenon. 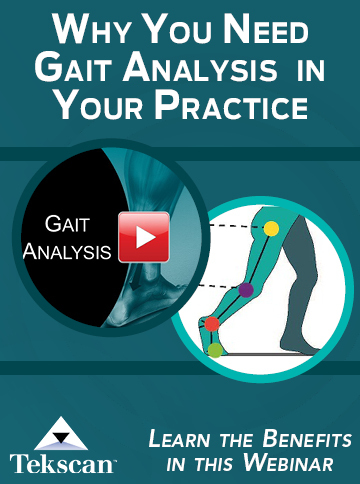 Synthesis of the available literature shows that PFA influences the mechanics of gait – a glimpse of which highlights useful adaptations to spare the end of the residuum from extreme force and compensate for limited power generation at the ankle joint. Although our understanding of prosthetic intervention is very much in its infancy, there are useful insights to help inform prescription, particularly when considered in the context of evidence based medicine. Figure 1. Example of an orthosis incorporating a toe-filler that might normally be used by someone with a toe or metatarsophalangeal amputation. These devices tend to be made of foams with varying degrees of compliance to fill the shoe and redistribute pressure away from the sensitive end of the residuum. A wide variety of devices have been used to manage the partially amputated foot, including: insoles, toe fillers, slipper sockets, ankle foot orthoses (AFO), and clamshell sockets. As a generalization, the extensiveness of the intervention is proportional to the extent of limb loss. Persons with amputation of the toes or disarticulation of the metatarsophalangeal joint will likely use devices such as insoles or toe fillers (Figure 1). These devices tend to be made of foams with varying degrees of compliance to fill the shoe and redistribute pressure away from the sensitive end of the residuum, and are often collectively referred to as “below-ankle” interventions. Persons with more proximal amputations, such as Lisfranc or Chopart amputations, would more likely use AFOs or prostheses incorporating an extensive socket that encompasses the leg and remnant foot (e.g., clamshell socket). These devices are often collectively referred to as “above ankle” interventions (Figure 2). 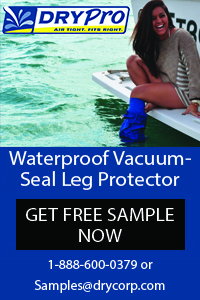 The forefoot section of this type of device can be made of a variety of materials. In the case of the AFO, the polypropylene plate under the foot might extend the full length of the shoe and incorporate a foam toe filler. Sometimes a carbon-fiber AFO may be used. More substantive devices might include a laminated socket with the front half of a prosthetic forefoot or a carbon fiber foot plate bonded onto the socket. These types of devices may be designed with several goals in mind, such as protecting the residuum from high pressures, restoring the lost foot length, and moderating the external moments caused by loading the prosthetic forefoot. Despite the prevalence of PFA and the seriousness of the complications, our understanding of the effect of prosthetic intervention is very much in its infancy. Formally evaluating the effect of prostheses using scientific methods is a relatively recent phenomenon. Until fairly recently, our understanding of the PFA gait and the influence of prosthetic intervention was based on theoretical analyses.17,23-25 These theoretical analyses stemmed from an understanding of gait in persons without amputation and were a reasonable first insight into the gait of persons with PFA, particularly given that no empirical research had been undertaken. Figure 2. An example of an ‘above ankle intervention’ – a carbon fiber ankle foot orthosis (AFO) used here in combination with a silicone prosthesis. The carbon fiber AFO includes a foot plate that extends under the length of the foot. The number of publications on partial foot amputation has grown exponentially, with the majority of works being published in the last three decades.26 The bulk of the literature focuses on surgical techniques or surgical outcomes such as mortality rates. The body of work examining gait and the influence of prosthetic intervention remains comparatively small, but it too is growing. A systematic review, commissioned by the American Academy of Orthotists & Prosthetists (AAOP) as part of the 8th State-of-the-Science Conference on the biomechanics of ambulation after partial foot amputation,26 synthesised and appraised 28 publications from an unconstrained review of the literature through December 2006, including a dissertation27 that has since been published.28,29 A few other recent journal articles30,31 extend our understanding beyond this systematic review, and an Evidence Note32 provides a condensed summary of the evidence. Most of the literature examining the effect of prosthetic intervention on gait is observational in design – meaning that researchers have sought to measure various outcomes to observe and establish differences from a normal population without intervention. These sorts of investigations are consistent with the early works in any research area where investigators are working to establish a foundation of knowledge by defining the problem and establishing well rationalized questions or hypotheses, which can serve as a basis for higher level studies, such as experiments that compare interventions. Although the evidence base is somewhat limited, a number of observations have been reported across investigations that provide insights into the effects of amputation and prosthetic fitting. More research is need to support the information presented here, it is hoped that the following section on ankle power generation and center of pressure (CoP) excursion will provide a glimpse that encourages wider reading and an exploration of more comprehensive descriptions. Persons with PFA may compensate for reductions in power generation across the affected ankle using the hip joints bilaterally, but the evidence supporting this observation is limited29,33 and contradictory. Center of pressure excursion –Several authors have noted that the distal excursion of the CoP is altered following PFA.29,35-37 These alterations appear to be minor in persons with amputation at or distal to the metatarsophalangeal joint35,37 and not meaningfully different from persons without PFA. In persons with Lisfranc and transmetatarsal amputation using insoles, toe fillers and slipper sockets, the CoP remains proximal to the end of the residuum until contralateral heel contact, when body weight could be shifted to the opposite limb. Only then is the CoP able to progress beyond the residuum, as the ground reaction force is rapidly declining. This would be an effective strategy to spare the end of the residuum from extreme force during late stance. The available evidence suggests that the type of intervention plays an important role in restoring the normal excursion of the CoP. In persons with Chopart amputation using a clamshell prosthesis,29,37 and a Lisfranc amputee using a Blue Rocker Toe-Off AFO,36 the CoP was able to progress well beyond the residuum during late stance so that the peak ground reaction force was borne by the prosthetic forefoot. While these insights into the gait of persons with PFA and the influence of prosthetic intervention may be helpful, they are but single pieces of a much larger and incomplete jig-saw puzzle. Much more work is needed in areas related to gait, but so too is work needed in areas of quality of life and reporting of adverse consequences, as illustrative examples. Only then can our clinical interventions be truly well informed by a comprehensive understanding. Given our current point in the continuum of research, the practice of evidence-based medicine38 is all the more important given that no intervention can, in isolation, be well informed by the available evidence. The provision of a prosthesis must continue to be based on the clinician’s experience in parallel with the available evidence and the patient’s values and wishes. For example, while some of the published literature argues that preserving ankle range of motion is not helpful in terms of ankle power generation, there are many circumstances related to this argument – such as descending a ramp vs walking on flat ground – that have yet to be investigated. The clinician and patient will always need to weigh various considerations to derive a reasonable prescription, but should do so from an informed basis. Prescribing a device for a patient with transmetatarsal amputation that preserves ankle range of motion to allow the “push-off” observed when the same device is used by persons without amputation is poorly informed by the available literature. If preserving ankle range of motion in the same patient is done for cosmetic reasons and because the risk of ulceration is minor, then this certainly provides a more compelling argument. PFA affects about two of every 1000 people in the United States. Although amputation helps resolve some of the immediate concerns of vascular insufficiency and infection, complications such as ulceration and re-amputation are all too common. Despite the prevalence of PFA and the numerous complications, formal study of the effect of prosthetic and orthotic intervention is a relatively recent occurrence that is revealing interesting insights into the influence of amputation and prosthetic intervention on gait. Findings specific to the changes in ankle power generation and center of pressure excursion should serve as illustrative examples of the many interesting adaptations typical of this population. A comprehensive understanding of these adaptations and the influence of prosthetic intervention is a useful adjunct to prescription and management, particularly when considered in the context of evidence-based medicine. Michael Dillon. BPO(Hons. ), PhD, is a senior lecturer at the National Centre for Prosthetics and Orthotics and leads the Prosthetics and Orthotic Research Group within the Musculoskeletal Research Centre at La Trobe University in Melbourne, Australia. 1. Owings MF, Kozak LJ. Ambulatory and inpatient procedures in the United States, 1996. Vital Health Stat 13 1998;13(139):1-119. 2. Reiber GE, McFarland LV. Epidemiology and health care costs for diabetic foot problems. In: Veves A, Giurini JM, Logerfo FW, eds. The Diabetic Foot: Medical and Surgical Management. Totowa, NJ: Humana Press;2000:35-58. 3. Dillingham TR, Pezzin LE, MacKenzie EJ. Limb amputation and limb deficiency: epidemiology and recent trends in the United States. South Med J 2002;95(8):875-883. 4. Dillingham TR, Pezzin LE, MacKenzie EJ. Racial differences in the incidence of limb loss secondary to peripheral vascular disease: a population based study. Arch Phys Med Rehabil 2002;83(9):1252-1257. 5. Lavery LA, Ashry HR, van Houtum W, et al. Variation in the incidence and proportion of diabetes-related amputations in minorities. Diabetes Care 1996;19(1):48-52. 6. Ziegler-Graham K, MacKenzie EJ, Ephraim PL, et al. Estimating the prevalence of limb loss in the United States: 2005-2050. Arch Phys Med Rehabil 2008;89(3):422-429. 7. Wild S, Roglic G, Greene A, et al. Global prevelance of diabetes. Diabetes Care 2004;27(5):1047-1053. 8. Australian Bureau of Statistics. Australian Social Trends 2007 – Diabetes mellitus. Australian Bureau of Statistics 2007 Report No. 4102.0. 9. Australian Institute of Health and Welfare. Interactive National Hospital Data – Procedures Data Cubes 2009. Available at: http://www.aihw.gov.au/hospitals/datacubes/datacube_proc.cfm. Accessed January 24, 2010. 10. Tang SF, Chen CP, Chen MJ, et al. Transmetatarsal amputation prosthesis with carbon-fiber plate: enhanced gait function. Am J Phys Med Rehabil 2004;83(2):124-130. 11. Pinzur MS, Wolf B, Havey RM. Walking pattern of midfoot and ankle disarticulation amputees. Foot Ankle Int 1997;18(10):635-638. 12. Greene WB, Cary JM. Partial foot amputations in children. A comparison of several types with the Syme amputation. J Bone Joint Surg Am 1982;64(3):438-443. 13. Pollard J, Hamilton GA, Rush SM, Ford LA. Mortality and morbidity after transmetatarsal amputation: retrospective review of 101 cases. J Foot Ankle Surg 2006;45(2):91-97. 14. Stone PA, Back MR, Armstrong PA, et al. Midfoot amputations expand limb salvage rates for diabetic foot infections. Ann Vasc Surg 2005;19(6):805-811. 15. Mueller MJ, Allen BT, Sinacore DR. Incidence of skin breakdown and higher amputation after transmetatarsal amputation: implications for rehabilitation. Arch Phys Med Rehabil 1995;76(1):50-54. 16. Sage R, Pinzur MS, Cronin R, et al. Complications following midfoot amputation in neuropathic and dysvascular feet. J Am Podiatr Med Assoc 1989;79(6):277-280. 17. Mueller MJ, Sinacore DR. Rehabilitation factors following transmetatarsal amputation. Phys Ther 1994;74(11):1027-1033. 18. Wood MR, Hunter GA, Millstein SG. The value of stump split skin grafting following amputation for trauma in adult upper and lower limb amputees. Prosthet Orthot Int 1987;11(2):71-74. 20. Dillingham TR, Pezzin LE, Shore AD. Reamputation, mortality and health care costs among persons with dysvascular lower-limb amputation. Arch Phys Med Rehabil 2005;86:480-486. 21. Schofield CJ, Libby G, Brennan GM, et al. Mortality and hospitalization in patients after amputation. Diabetes Care 2006;29(10):2252-2256. 22. Aulivola B, Hile CN, Hamdan AD, et al. Major lower extremity amputation: outcome of a modern series. Arch Surg 2004;139(4):395-399. 23. Condie DN. Biomechanics of the partial-foot amputations. In: Murdoch G. Prosthetic and Orthotic Practice. 1st ed. London: Edward Arnold Publishers Ltd.; 1970:149-160. 24. Stills ML. Partial foot prostheses/orthoses. Clin Prosthet Orthot 1988;12(1):14-18. 25. Weber D. Partial foot amputation. In: Weber D, Agro M, eds. Clinical aspects of lower extremity prosthetics. Oakville, Ontario: Elgin Enterprises; 1991:197-209. 26. Dillon MP, Fatone S, Hodge MC. Biomechanics of ambulation after partial foot amputation: a systematic literature review. Presented at 8th State-of-Science Conference on the Biomechanics of Ambulation after Partial Foot Amputation, Chicago, March 2007. 27. 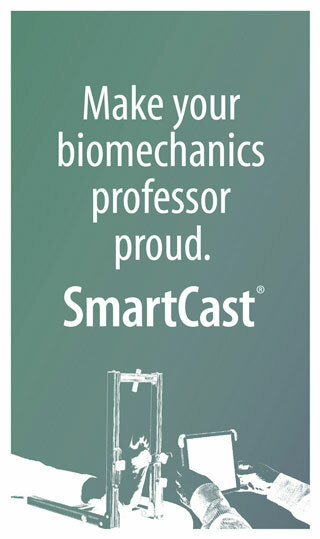 Dillon M. Biomechanical models for the analysis of partial foot amputee gait. 2001. Available at: http://adt.library.qut.edu.au/adt-qut/public/adt-QUT20011008.094224/ Accessed January 24, 2010. 28. Dillon MP, Barker TM, Pettet G. Effect of inaccuracies in anthropometric data and linked-segment inverse dynamic modeling on kinetics of gait in persons with partial foot amputation. J Rehabil Res Dev 2008;45(9):1303-1316. 29. Dillon MP, Barker TM. Comparison of gait of persons with partial foot amputation wearing prosthesis to matched control group: an observational study. J Rehabil Res Dev 2008;45(9):1317-1334. 30. Burger H, Erzar D, Maver T, et al. Biomechanics of walking with silicone prosthesis after midtarsal (Chopart) disarticulation. Clin Biomech 2009;24(6):510-516. 31. Kanade RV, Van Deursen RW, Harding KG, Price PE. Investigation of standing balance in patients with diabetic neuropathy at different stages of foot complications. Clin Biomech 2008;23(9):1183-1191. 32. Dillon M, Fatone S. Evidence note: The biomechanics of ambulation after partial foot amputation. 2009. Available at: http://www.oandp.org/assets/pdf/AAOPevidence.pdf. Accessed January 24, 2010. 33. Mueller MJ, Salsich GB, Bastian AJ. Differences in the gait characteristics of people with diabetes and transmetatarsal amputation compared with age-matched controls. Gait Posture 1998;7(3):200-206. 34. Dillon MP, Barker TM. Preservation of residual foot length in partial foot amputation: a biomechanical analysis. Foot Ankle Int 2006;27(2):110-116. 35. Mann RA, Poppen NK, O’Konski M. Amputation of the great toe. A clinical and biomechanical study. Clin Orthop Relat Res 1988;(226):192-205. 36. Wilson EJ. 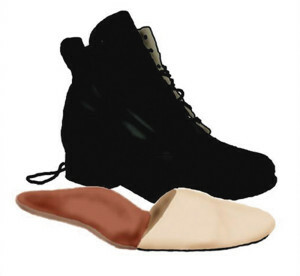 Restoring centre of pressure excursion in partial foot amputees using ToeOFF-style orthoses. Bundoora: La Trobe University; 2005. 37. Dillon MP, Barker TM. Can partial foot prostheses effectively restore foot length? Prosthet Orthot Int 2006;30(1):17-23. 38. Sackett DL, Rosenberg WM, Gray JA, et al. Evidence based medicine: what it is and what it isn’t. BMJ 1996;312(7023):71-72.